Ronald G. Pray Company is a Registered Financial Advisor offering personal attention to your questions and concerns. We define ourselves as Capital Advisors helping our clients in the moment and over time to efficiently accumulate, grow, preserve and distribute their assets. Ron is appointed with several well-qualified and known Financial Institutions allowing Ronald G. Pray Company to focus on a diverse offering of several financial products available from Ameritas Investment Corp., American Funds, Franklin Templeton Investments, Prudential Financial, Inc., Transamerica Financial Life Insurance Companies, Pacific Life & Annuity Company, AIG, John Hancock Life Insurance Company U.S.A., VOYA Financial, Genworth Life Insurance Company and others. Ronald G. Pray Company offers Life Insurance, Fixed & Variable Annuities, Mutual Funds, 529 College Savings Plans, Individual & Group Retirement Investments (IRA's), rollover and transfers, and Long-Term Care Insurance. 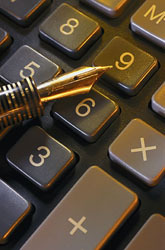 Free Consultation & Analysis of your financial situation is available now and in the future. We are here to provide ongoing support and serve our clients and communtiy.